Is California's Legalization of Bitcoins a Game Changer? Over the weekend, California Gov. Jerry Brown signed into law a bill that has the potential to change the way commerce is done. The bill, AB 129, written by Democratic Assemblyman Roger Dickinson, legalizes bitcoins and other digital currencies for transactions in California. It's hard to overstate the significance of AB 129 given the economic influence the most populous state in the union has over the country and the rest of the world. According to a recent JPMorgan Chase (JPM) report, California's GDP is estimated to hit just under $2 billion for 2015, making it the world's eighth-largest economy -- ahead of Russia, Italy and Canada. Bitcoin advocate Marc Andreessen, the famed venture capitalist, weighed in on Twitter, saying "Thank you Gov Brown & CA legislature!" California'a numerous "community currencies" -- often created to boost local businesses –- were formally legalized by AB 129. Ironically, in contrast to arguments often put forward by those who claim that authorizing a digital currency would be a legislative and bureaucratic nightmare, new law is only one sentence long and simply repeals a provision that banned the use of "anything but the lawful money of the United States." %VIRTUAL-article-sponsoredlinks%The news out of California comes during a particularly tough year for bitcoin. Earlier in the year Mt. Gox, once the world's leading exchange for trading the virtual currency, revealed that it lost more than 850,000 bitcoins (equal to $500 million at current prices), in a hacking attack. The firm later recovered 200,000 of the lost bitcoin. And the U.S. Marshals Service in June auctioned off 20,000 bitcoin seized during a raid on Silk Road, an Internet marketplace where authorities allege illegal drugs and other outlawed items could be purchased. 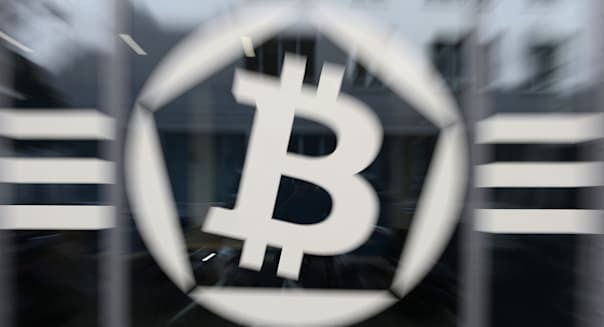 Ultimately the federal government has final say over the use of any currency -- including virtual ones like bitcoin -- for commerce among U.S. citizens, businesses and legal entities, trumping even the laws of individual states. However, it is hard to ignore the actions of California in this area, which may lead to similar legislation being enacted in other states. Brian Lund's blog offers more on personal finance, the stock market, investing and the secret to eternal life. It's time to hit the thrift stores, consignment shops and furniture outlets. Now that most people have done their spring cleaning and renovating, their used furniture is on the market. That means a hefty supply, plus low prices since stores only have so much space. You can also find discounted new furniture in July, because the next year's models arrive in stores in early August. Don't be afraid to try to negotiate on prices. It often works. Electronics -- computers and tablets specifically -- see decreases in price starting in early July. These prices continue to drop as the school year gets closer, and best way to stay on top of the hottest deals is to sign up for e-newsletters from retailers. Remember to take advantage of company and educational discounts that may be available to you, and to negotiate for free or discounted accessories. Bottled water goes on sale throughout July as a lure to get you into stores. it also gets purchased more frequently throughout the summer -- the natural result of barbecue and picnic season, when people entertain and spend more time outdoors. So if you drink bottled water year-round, stock up now. If you can manage, hold off purchasing your new grill until after the Fourth of July, when mark-downs approach 50 percent off. This applies to grilling accessories, too, including grill baskets and utensils. Also, check consignment shops and thrift stores. Many people buy new grills for the Fourth of July and donate or sell their old ones. Speaking of grilling, among the hottest buys during July are condiments for burgers and hot dogs: mustard, ketchup, relish, sour cream, sauerkraut, mayonnaise and pickles, etc. Buy in bulk, and pair in-store specials with coupons for super-low prices on these summer must-haves. If you're in the market for a sweet new pair of jeans, July is the best time to buy them. Few people buy jeans during one of the hottest months of the year, so retailers put them on sale to move them. Stores also get new jeans in the late summer in anticipation of fall shopping season, so they're eager to sell old ones to make room for new duds. Formal suits are also seldom purchased during the middle of summer. Consequently, many suit retailers will hold sales to keep business moving. If you have an upcoming formal wedding to attend -- or if you simply need new suits for work and special occasions -- July is the best time to buy.